There are no world-renowned North Dakota theme parks or gambling resorts. No majestic range or single respectable mountain. No major-league team in any sport. Not even a city of 100,000 people or more. There certainly are no alluring beaches, palm trees, or snorkeling coves — not just because there’s no ocean within 2,400 km (1,500 miles) in any direction, but also because North Dakotans endure some of the most brutal winters this side of Yatutsk. The state’s record low temperature, set in 1936, was -51° Celsius (-60° Farenheit), and it was no fluke. A few hardy folks still alive tell of that cold spell in which the temperature dropped below freezing on Nov. 27, 1935 and never reached the freezing mark again until March 1 of the following year. During a 37-day period of that span, the thermometer reached zero degrees Farenheit — a deep-freeze benchmark —- only once. No wonder that, save for a short growth spurt or two, North Dakota has been losing people, either to the warm and inviting Sun Belt or to states with big cities and promising jobs. From a scant population of 3,000 in 1870, when the place and what is now South Dakota were part of a single “Dakota Territory” — though I doubt the census counted the sizable Indian population back then — North Dakota rode waves of European immigration to a high mark of 685,000 in 1930. 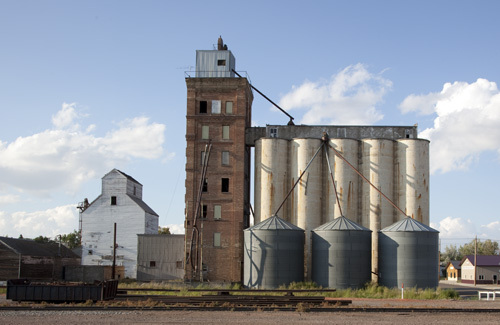 From 2000 to 2009 alone, according to an Iowa State University study, rural North Dakota counties — and there aren’t many other kinds — lost a greater share of their people (10.5 percent) than any other rural section of the 12-state Midwest. Many young North Dakotans leave home and never return. School enrollments decline to the point that the towns lose their schools, which prompts even more families to leave. Communities age and almost literally die. And a few communities such as Crosby, population holding at about 1,000, are taking a bold step to attract new residents. They’re reviving the old idea of giving away free land, inspired by the Homestead Act of 1862 that changed the course of U.S. history. 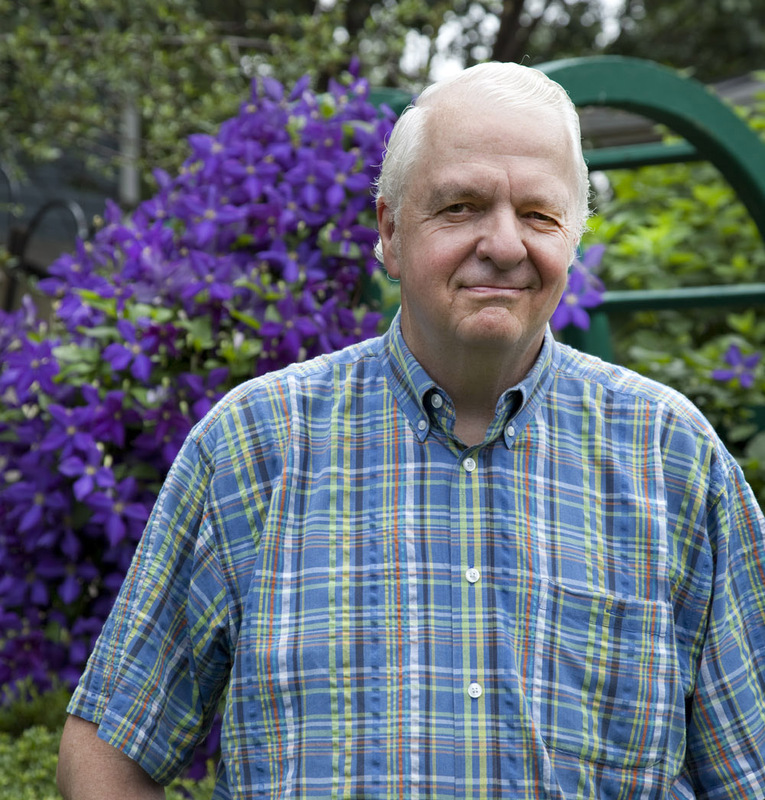 The law allowed Americans and immigrants of many ethnic backgrounds to claim land. 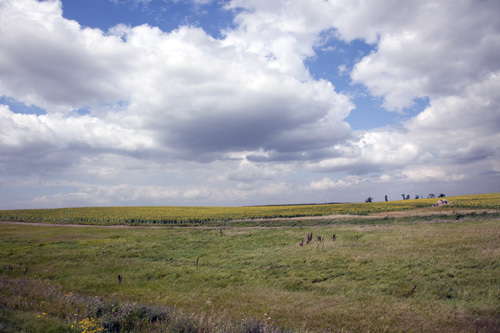 “Land for the landless,” as the saying went, for people who had no other means to acquire it. It was, of course, “free” in a monetary sense only. The pioneers paid dearly for it in blood, sweat, and tears. Most of the immigrants who snapped up the fertile lands in eastern North Dakota, especially, were Norwegians. They had been lured by U.S. railroad companies’ posters back home that promised, if not streets paved with gold then golden fields of wheat that did come to pass. According to the bicentennial book, only Ireland lost a larger percentage of its population to emigration than did Norway in the 1800s. Today about 193,000 North Dakotans — one-third of the state’s white population — claim Norwegian ancestry, and you may still hear a Tak for sidst greetings on the street. It’s Norwegian, meaning, “Thanks for the last time I met you,” which may take some translation itself. The Norwegian flavor of the state leads to friendly jousting with neighboring Minnesota, where a whole lot of Norwegians’ Scandinavian rivals, the Swedes, settled and farmed. What do you expect in a place where milk is the state beverage? On our recent cross-country trip, Carol and I breezed 580 km (360 miles) across North Dakota on one of its two Interstate highways. Save for Fargo and West Fargo on the Minnesota line, and the capital city of Bismarck three-fifths of the way across, there wasn’t a town over 16,200 people to be seen. Fargo, as you might have guessed, was named for William Fargo, of the famous Wells Fargo Bank. He’d been mayor of Buffalo, New York, had helped start Wells Fargo in New York City, and ran the Great Northern Railroad. But he never lived in North Dakota and perhaps never set foot there. People got so excited when the line reached them that they named the new railroad town after him. Poor Fargo. The witty, yet violent, Academy Award-nominated Coen Brothers movie of that name in 1996 depicted memorable characters who lived, committed misdeeds, and patrolled the highways of . . . Minnesota. Fargo, North Dakota, made only a cameo appearance as the hangout of two woodchipper murderers. 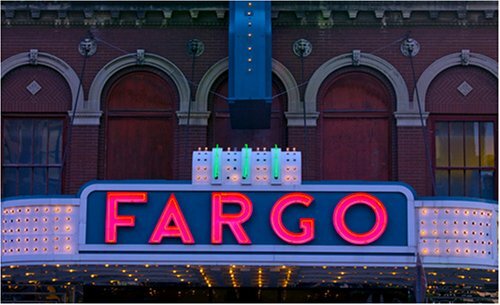 Admittedly, “Fargo” has a catchier ring than “Brainerd” — the Minnesota city featured in the flick. 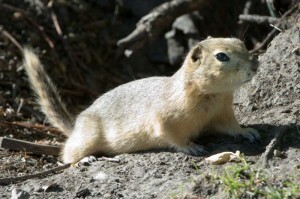 Even in our brief visit to the Flickertail State this year — flickertails aren’t birds; they’re burrowing ground squirrels known locally as “gophers” — Carol and I agreed that it’s worth making the effort to see. These are not contemporary portraits. They were penned 72 years ago by struggling writers — including the likes of John Steinbeck and Ralph Ellison — who survived the Great Depression on federal stipends, producing meticulous guidebooks to several U.S. states. • Colorful Indian social occasions called pow-wows, marked by authentic dancing and open not just to public viewing, but even to participation by those who dare. These ceremonies are vestiges of Indians’ rich heritage in the Dakotas that long predates the coming of whites. The first tribes — Mandan, Hidatsa, Cheyenne, and Arikara — farmed along the Missouri River. To their later regret, they generally welcomed whites, beginning with French Canadians who were searching not just for animals to hunt and trap, but, fruitlessly, for a land route to India. Far less accommodating were fierce nomadic tribes such as the Assiniboin and Sioux, who relentlessly fought settlers and the U.S. Army. • Century-old ruts in the prairie, left from the days of westward migrations, and an interpretive center in the town of Washburn that describes the North Dakota portion of a great expedition in 1804. In it, Meriwether Lewis and William Clark were dispatched by President Thomas Jefferson to explore and map the northwest territory just purchased from France. 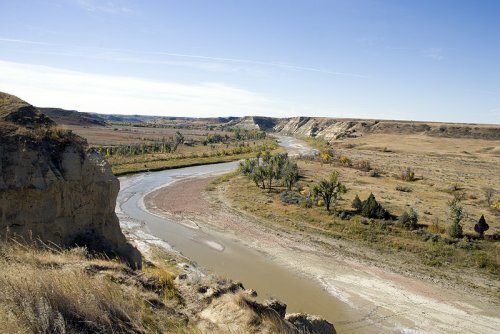 • Theodore Roosevelt National Park, straddling the Little Missouri River, where flat, monotonous farmland turns to rugged badlands. The park is named for the vigorous outdoorsman and future U.S. president who hunted bison in the Dakota hills in the 1880s, bought a cattle ranch there, and returned to what he called his “perfect freedom” of the West to mourn the death of his wife and mother. • Rugby, North Dakota, to which you’ll want to bring your compass or global positioning device. The town of 3,000 is the geographical center of all of North America. 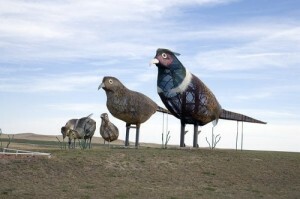 • The “Enchanted Highway,” a 51-km (32-mile) stretch of a county road near Dickinson, where artist Gary Greff has erected giant sculptures made of scrap metal — of deer, pheasants, grasshoppers, geese in flight, and huge women, kids, and men, including President Roosevelt. You see, North Dakotans aren’t so boring. They are creative in really big ways. Farmers pull mammoth rocks out of the ground and paint them with historic scenes. 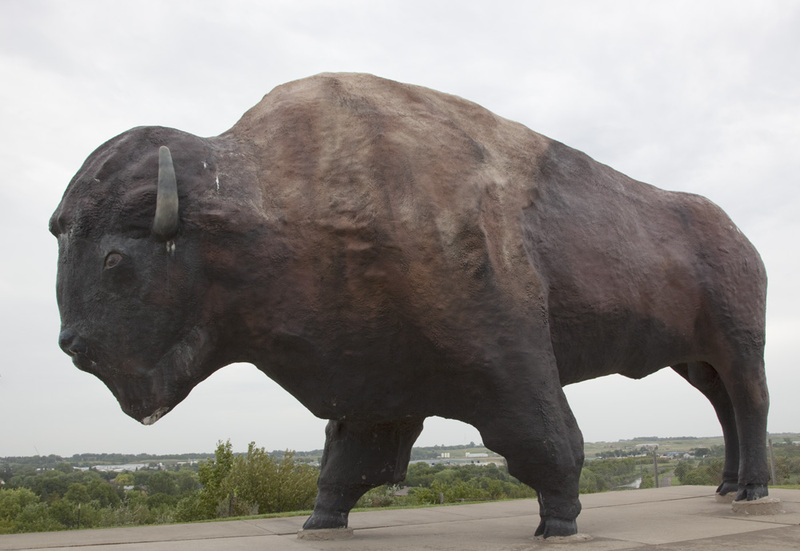 The state boasts the world’s biggest bison — made of cement — and a gigantic cone constructed from thousands of used oil cans. “Salem Sue,” too. She’s the earth’s largest — and maybe only — painted, fiberglass Holstein cow. Why do North Dakotans do such things? Some say they inherited their Scandanavian ancestors’ love of imagery. Others ascribe it to what might be called “sculpture envy” of South Dakota, whose massive Mount Rushmore monument to four U.S. presidents is a tourist magnet. 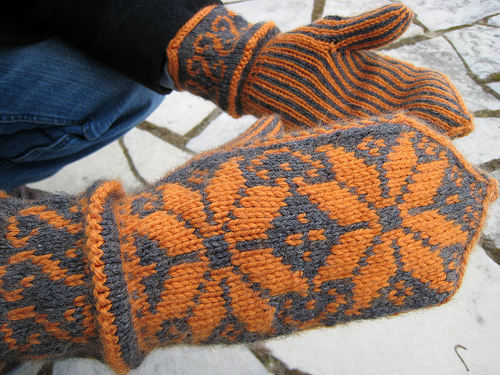 Or perhaps you can chalk it up to the time on their hands once the snow flies. North Dakotans themselves joke that they have just two seasons: winter, and the short time in between to fix the roads. Come the long, cold winter, as one North Dakota Internet blogger recounted, people calmly fire up their wood stoves, melt snow for water, throw on the ol’ boots and an extra layer of clothes, and send out caravans to pluck people out of snowdrifts. Or they just stay in, keep warm, bake Julecake Christmas bread, sip some aquavit liqueur, and swap knee-slapping Sven-and-Ole jokes. Fluke. Something unexpected: usually a stroke of good luck. Jousting. Taken from the medieval sport involving lance-carrying knights on horseback, jousting is now mostly spirited verbal competition. Ponder. To reflect long and seriously about something. You write so vividly of life in ND. My dad was a young man in the early 1930’s. He loved to talk about how he & two of his buddies hopped a freight train in WI, riding it to the Dakotas to work in the wheat fields, in those years. One of his sisters, much older than he, homesteaded in ND. She lived in a sod hut. It was a very difficult life for her & her six children. My mother often talked about the terrible snow storms in the Dakotas; how many ranchers got lost in a storm walking from the house to the barn, freezing to death because they could not find their way in the vicious storm. Your article brought back these memories of how life in the Dakotas was a major fascination in the lives of my parents. My dad shared with me how my grandfather , his dad, put a thrashing machine and a steam engine on a train flat car, taking them to the Dakotas to thrash grain in the summer. He said that grandpa raised percheron horses, moving them with him at thrashing time, selling them in the Dakotas while going from ranch to ranch thrashing. Thank you for a story that is so rich in it’s description of the “Dakotas”! Thanks for the N.D. memory, Carol. I can’t imagine living in a sod house in the dead of winter — or the short period of high temperatures on the prairie, either. It’s clear that the drive to live proudly and independently out in nature is a strong one in some people. And despite the downside of living in small, rural communities or out in the country (remoteness, people knowing your every move, etc. ), there’s a togetherness, us-against-the-world determination that can’t be discounted. 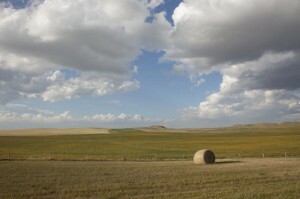 Check out my blog about SOUTH DAKOTA in the archive, down the right column. 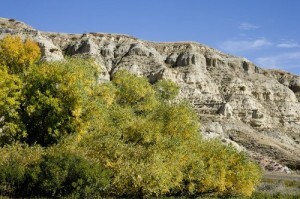 It’s called “South Dakodak” and appeared in September 2009. As one who has explored every state and enjoyed North Dakota (having been there a few times), I loved reading your comments. Although I grant that the area around Fargo and Grand Forks is flat, many parts of the state have a subtle roll to them, and there are areas that are considerably steeper. Then you have the Turtle Mountains which provide an interesting contrast. The area around the Burning Coal Vein (Slope County, in the SW) is impressive badland country. I look forward to future opportunities to visit North Dakota. Now Grand Forks is not what you would consider your normal American City. It is now the great walled city of the Red River Valley. In the wisdom of a people who just get things done they got tired of the serial flooding of the Red River and with the help of FEMA and the Corp of Engineers they built a wall to protect the city as the river rises. While Fargo rolls out the population to fill sandbags each spring Grand Forks goes quietly about closing the flood wall and going on with life. Grand Forks is also where the gigantic blades for wind generators originate, the ones you see on massive trailers you pass on the interstate on their way to the ever productive wind fields of NoDak. A rich and vibrant land of “Can Do” people. Hey, I live in Bismarck, North Dakota, and I DON’T like what you’re saying. North Dakota is beautiful. In Bismarck, everywere you look, you can se beautiful mountains and tall forests. North Dakota has WAY more bison, pheasants, and deer than stupid South Dakota. We have buttes and forests and flowers. 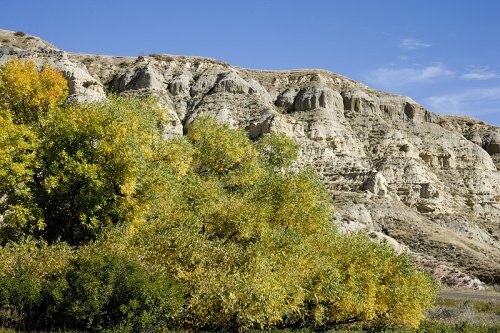 Our Badlands are rugged and amazing. In OUR Badlands, we have forests of junipers, cedars, and tall ponderosas. We have 1,000’s more landmarks than any other state. Plus, our people our friendly, our cities are strong, and if you see this, you SHOULDN’T listen and have fun in North Dakota. It’s fun, friendly, and always beautiful. I confess, it’s a little too easy to take shots at remote North Dakota, and everything you say about it is true. 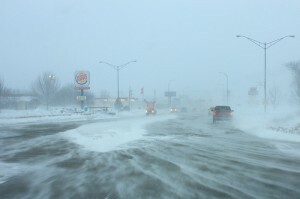 If it weren’t for those winters of yours, North Dakota would be a model place to live. As it is, it’s a great place to visit . . . from April through October! If you’d like to write a guest blog setting the record straight about North Dakota as you have experienced it, I’d be open to it. But you’d have to be realistic. No Chamber of Commerce fluff pieces accepted. I’d needYOUR photo and eight or nine other North Dakota photos, with photo credits and permission to publish them, to accompany what you wrote. Write back if you’re interested. I moved here a little while ago and this place really isn’t as bad as people from other parts of the world make it out to be. Although, I must say, that what they call “mountains”, most would consider big piles of dirt. I’ve seen patches of woods (not forest) here and there, and I’ve heard that there aren’t many tree’s mostly due to farmers burning them all down to make fields. I agree that the sky is definitely never ending and that the land is very flat. The sky is beautiful here, and i think that some of the captivation of it centers around the fact that it goes on for miles. When the sun rises and sets, its a never ending mass of color and beauty. People are the friendliest they can get. There really is no crime here at all. The economy is the best here than in any other state (especially on the west end of the state). It does get really cold here, but what they don’t tell you is that it’s a very DRY cold, so that it doesn’t feel nearly as cold as the temperature reads. Admittedly, I haven’t lasted a winter here yet, and it is a bit frightening (seems like they’re trying to scare me with it). Some people say it’s not as bad as it sounds.